Precision noise filtration. Hear what you want, not what you don’t. It’s all very well trying to block out all sound – but sometimes you still need to be able to hear conversation, the cry of a baby, a car horn etc. Auritech’s patented precision-tuned ceramic filtration means you can reduce the noises you don’t want to hear, but keep those that you do. No muffling effect - no “blocked ear” feeling with Auritech products. Traditional ear plugs leave your hearing feeling blocked and unnatural. This muffling or occlusion can be disturbing over long periods and can even affect our balance and physical judgement. We have engineered this effect out of Auritech Hearing Protectors, for ultimate comfort and practicality. For many people, disposable foam earplugs are an important part of the daily routine. Failure to block out noise can cause irreversible hearing damage, which can have serious implication on a sufferer’s personal and professional life. These disposable plugs are by far and away the most popular, but despite their low costs there are some serious health, environmental and cost implications to take into consideration. 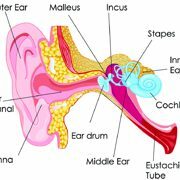 We all know that exposure to loud bangs and prolonged noise can cause hearing damage and ultimately deafness, but what is less commonly known is how it actually occurs, and what can be done to prevent it. 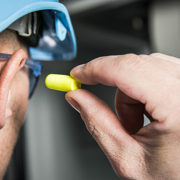 Our Universal Fit earplugs use a unique thermoplastic outer construction, giving a feeling of supreme softness and comfort, even when you are using Auritech ear plugs for sleeping or wearing them for extended periods. And with no muffling effect you will barely notice you are wearing them. With our Custom Made earplugs, we even guarantee the fit & comfort for 2 years! More than 20 years of experience - we know what we are doing. Auritech Hearing Protectors have been developed by leading European audiologists and hearing technicians over 20 years. Our experience and unique technology mean that you are in safe hands when it comes to protecting your valuable hearing. Independently tested and approved in Germany. Unlike many manufacturers, we are proud to share our test results and use an internationally recognised independent German testing institute.